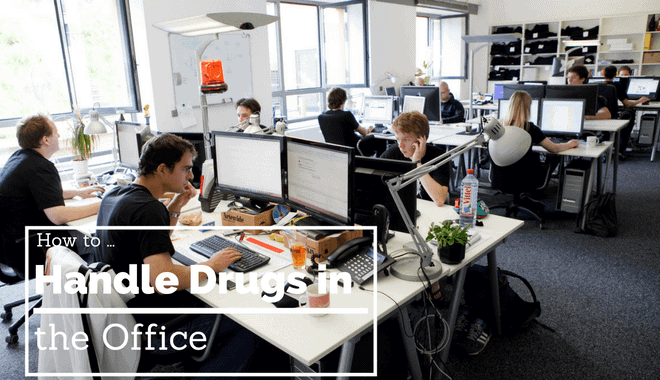 Substance abuse issues in a professional work environment pose wide-ranging and significant problems for the employee using them, their coworkers, and their managers. Not only does it make the workplace more dangerous and volatile, it also exposes employers to a variety of legal and liability issues. At the same time, substance abuse is particularly tricky to deal with. It must be handled with sensitivity and caution. Your first step should be to consult your organization’s written alcohol and drug testing policies. It should include provisions regarding testing for reasonable suspicion. Be forewarned that a general policy statement is not sufficient to permit testing. If such a provision is not included, you are encouraged to consult with your firm’s legal counsel in order to have one implemented. Many times, clients or coworkers will report their suspicions about an employee who may be under the influence of drugs before the signs and symptoms are noticed by a supervisor. Any concerns, complaints, or unusual patterns of behavior should be thoroughly documented, as should statements from any witnesses to the behavior. It is imperative that management should witness the behavior, including someone besides yourself. Any observations a secondary management figure makes should that their observations are recorded in detail. Common signs of substance abuse that managers should be on the lookout for include faltering speech, odors, constricted or dilated eyes, an inability to control one’s emotions (e.g. angry outbursts or excessive irritability), excessive sweating, and drowsiness – amongst others. After the situation has been thoroughly documented and upper management is in agreement with one another, now is the time to call a meeting with the individual who is suspected of using drugs. During the meeting, allow the employee to tell their side of the story, but you should always, always have a second, or even third, individual present at the meeting, so that they may act as witnesses to what takes place. You will then have to act in accordance with what options are laid out in your company’s official policy. This step is not as straightforward as it might seem. Drug testing is a legal issue, and how it is conducted will depend on your organization’s legal counsel and official company policy. Ahead of time, you should contact the drug testing facility your company uses and let them know you will have an employee coming in for reasonable suspicion drug testing. Should you decide to send your employee for reasonable suspicion testing, you must explain to them that you are doing so in order to rule out the possibility that they are in violation of your company’s alcohol and drug policies. If you have not already obtained a signed consent form from the employee in question, now is the time to do so. Ideally, the employee should be presented with a consent form to sign during your initial meeting. An employee should never be allowed to drive themselves alone to the drug testing facility. Transportation should always be provided to and from the place of testing. Should your employee refuse to undergo the drug test, consult your company’s policies. Many businesses today treat a refusal to undergo a drug test as akin to having a positive result on their drug test. In some instances, refusal to take a drug test can result in immediate termination of employment. If your employee’s drug or alcohol test comes back with a negative result, then you should contact the employee and have he or she reinstated into their former position as quickly as possible. If the results of the test are positive, then you do have the option of sending them for professional counseling and/or drug and alcohol treatment and then allow them to return to work. Most organizations’ policies include return to work rights that are accompanied by a clause that provides for immediate termination if the employee is found to be again under the influence of drugs or alcohol while in the workplace. Federal laws prevent an employer from immediately terminating an employee for positive drug test results. If you are currently experiencing any issues regarding drug or alcohol usage in your workplace, experts recommend contacting your organization’s legal counsel or an outside consulting firm (that specializes in these issues) in order to modify or update your firm’s policies. It is also advisable to offer training to your business’s employees and managers regarding how to handle these situations at work.